To write believable, realistic characters, you first need to know them. Here are some questions you can "ask" the main characters in your books to get to know them better! 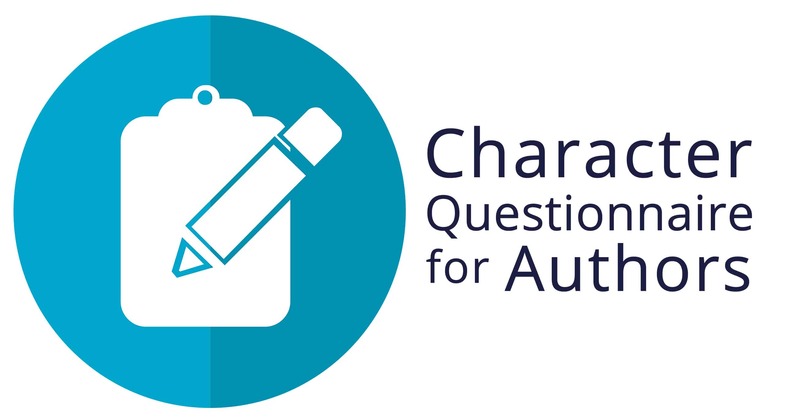 This character questionnaire is best filled out during the book outlining or drafting stage. Hair, eye, and skin color? How is your eyesight? Do you wear contacts or glasses? What facial feature is most noticeable? What is your best physical feature? Why do you like it? Do you have any scars or birthmarks? How do you feel about this? What kind of clothes do you wear? What is your style? How is your health? What is your attitude about your health? Do others think you are ugly, plain, or beautiful? Do you agree? Do you have a positive or negative body image? Why? What is your hairstyle and color? Has it changed over the years? Are you energetic, laid-back, controlled, compulsive, or sluggish? Are you optimistic, pessimistic, or realist? Why? What events in your life have led you to have that outlook? How do you react to criticism or praise? Why? How do you show affection or love? How do you like to be shown love? What actions don't mean love to you? How do you treat people who you feel are better than you? What about people you don't think are as good as you? Do you have any nervous ticks? How do you behave in a relationship? Are you more likely to react to a fight with your fists or your tongue? When you make a mistake, do you rationalize it, blame others, or take full responsibility? What do you believe you need to be truly happy? Are you insecure or confident? Why? What events in your life have shaped this? What place would you most like to visit that you haven't? Do you like reading, music, or art? What is your favorite author/musician/artist? Favorite thing to do on a warm day? Do you play any sports or instruments? Do you have a natural talent for something? What do you hate others to make you do or that you dislike seeing other do? How big is your family? How many boys and girls? Are siblings older or younger? Are your parents divorced, dead, or absent? If both parents were present, what was their relationship with each other? What expectations did your parents have of you? What is your relationship with your parents/caregivers? What is your relationship with your grandparents or other extended family? Which sibling are you the closest to? What are some things you did together? Did you grow up rich, poor, or middle class? Were you nurtured or neglected? Were your parents lenient or strict, the parent or a friend? What is your best and worst childhood memories? What do you think of your family? Are you comfortable with them? Embarrassed of them? Why? What are some funny, sad, or interesting events that have happened in your family? Are you married, divorced, or widowed? Who is your best friend? Are you similar or different? Do you need a lot of friends, or just a few? Are you lonely or fulfilled with the friends you have? What is something you've done that you're ashamed of? Proud of? Have you ever been bullied or bullied others? Have any family members or people close to you died? How did that affect you? What are five important/life-changing events that have happened to you? What did you learn and how did you change? What relationships have you been in? How did they end and why? Are you in a relationship now? How did you meet? How strong is the relationship? If you are a parent, how did becoming a parent change you? Who do you trust most in the world? Why? How did you meet this person? Have you ever tried your best at something and failed? What education do you have? Do you intend to gain more education? What activities were/are you involved in at school? How do teachers in school view you? What is your current job? What other jobs have you held? What do your coworkers think of you? What about your boss? What is in your wallet/purse? What is in your fridge (type of food, take-out or homemade, preservatives or organic, etc.)? Do you own your home or rent? Live in an apartment? What kind of car do you drive? Or maybe you use a bicycle? Do you believe in God? What do you think of Him? Why do you feel that way? What do you believe about the afterlife? What has lead you to believe that way? What is your view on the ethics of lying? What have you lied about? How trustworthy are you? Do people who meet you for the first time feel that you are trustworthy? Do you believe promises should be unbreakable? Did you keep or break your last promise? Why? What kind of behavior from a loved one would you consider unforgivable? How good are you at forgiving others? Would you defend a stranger? In what situations? Are weekends for sleeping in or for getting up early and getting chores done? How good are you with technology? If you have trouble writing characters that are different from yourself, consider taking a personality test, and then taking the test for your character. Are your results the same or even similar? If so, you may want to make changes to your character. A free, extensive test you could try is 16Personalities. Do you use a character questionnaire? What additional questions would you ask? We'd love to hear in the comments below! Reuse notice: Non-commercial users, feel free to print out Character Questionnaire for Authors for personal use or give to friends, share online, or make a meme of, as long as you attribute and link back to us. Commercial users, you may share a link to this post or quote a short excerpt from it with attribution and a link to this site, but you may not use this post in its entirety. Thank you for caring about copyright.